A young girl is collecting flowers. The flowers are used for hair decoration. The night between the 21st and 22nd of June, the people of Latvia are celebrating the shortest night of the year, the midsummer. This night, they are turning away from Christianity and worships the pagans Gods. 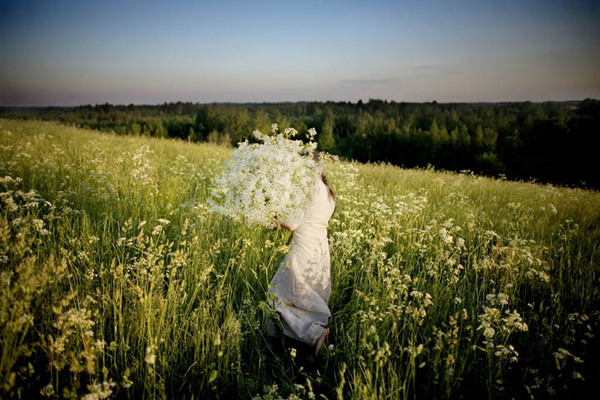 On a hilltop in the countryside in Latvia, near the town of Piltinkalns, a young girl is collecting flowers. The flowers are used for hair decoration. Espen Rasmussen, "Midsummer," in POYi Archive, Item #46187, http://archive.poy.org/items/show/46187 (accessed April 25, 2019).